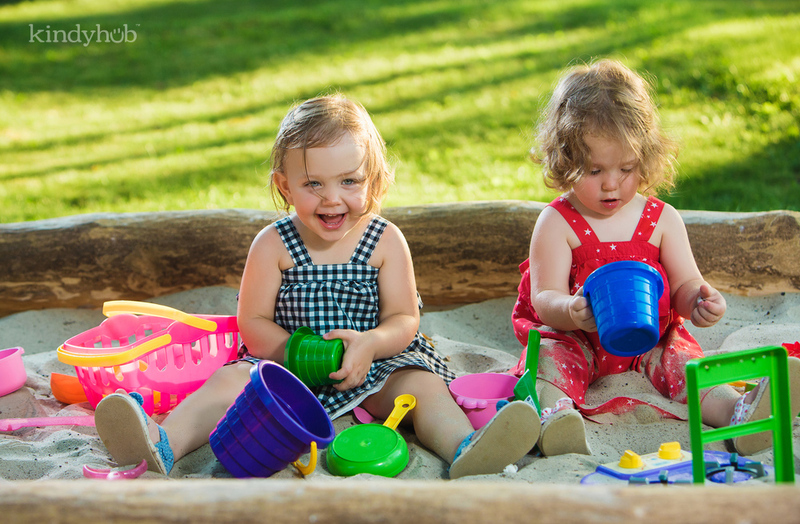 Outside play is an essential part of early childhood development and clearly operates as an excellent tactile mode of learning. It provides opportunity for children to grow and develop skills they might not otherwise experience or encounter, if they’re ‘taught’ on a purely intellectual level. There’s a vast difference between being told something and experiencing it, particularly in the case of children. Children are naturally wired for play, even from a very early age. During the infant stage, play is limited by the capability of the baby or toddler. Coordination, language and motor skills are still abilities that are constantly being mastered. However, babies clearly demonstrate enjoyment during the process of learning and development facilitated by informal playtime. Adequate exposure to sunlight is essential to maintain healthy levels of vitamin D in the body. Most vitamin D in the body is made when the skin is exposed to sunlight. A few foods, such as some types of fish, contain naturally occurring vitamin D, but it’s actually very difficult to get enough vitamin D from food sources alone. Vitamin D plays an important role in maintaining strong bones and good muscle health. It’s also required in the production of serotonin and dopamine, the body’s ‘happy hormones’. The human brain has been found to have vitamin D receptors, and proteins in the brain connected to learning, memory and motor control may be affected by vitamin D.
Clearly, exposure to sunlight needs to be balanced with overexposure to UV rays. However, early childhood education centres are perfectly placed to manage outdoor play at times which reduce exposure to harmful UV rays. Running, jumping, climbing, spatial awareness – these are all skills that children need to develop as they grow. They quite simply cannot be understood by verbal learning techniques; they must be experienced. Children develop a sense of themselves by how they interact with their environment. This means outdoor play, such as crawling through tunnels, hanging upside down, swinging and climbing are all crucial aspects of physical and brain development in children. Outdoor play encourages a child to create and imagine in a way that hand held toys or technological devices simply can’t. Improvising with sticks, organic materials, sand, water or empty cardboard boxes, for example, all foster the imagination and provide for rich and diverse childhood experiences. Outdoor play also provides opportunity to study animal and plant life, discuss seasonal and climate changes, grow vegetable or flower gardens, or care for animals, all of which contribute to developing social and environmental awareness in children. Learning to work together with other children towards common goals and celebrating joint achievements also assists in developing effective communication and social connection skills. Early childhood centres are able to combine the best of both aspects of outdoor play – free play and structured play, both of which are essential for growing healthy and happy kids.